We designed and project managed this commercial fit-out for BNP Paribas Bank in the IFSC, Dublin. 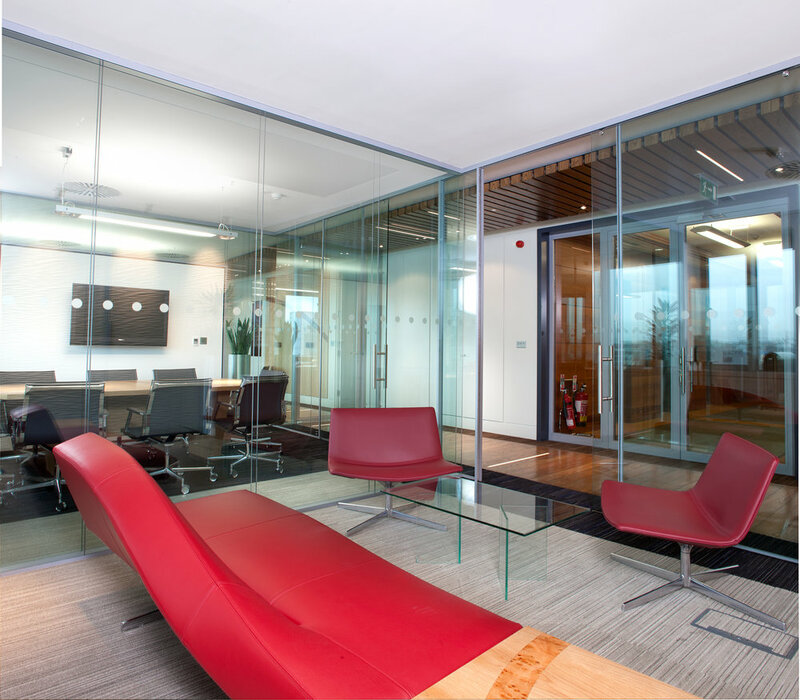 This project involved the stripping out of the existing fit-out of the executive floor of an international investment bank and designing a new layout containing a multifunctional boardroom, an executive office suite, meeting rooms, offices and toilet facilities. Our clients wished for a space that had its own personality that set it apart from other offices. We delivered a fit-out that was richly textured in materials and colour. The project involved designing custom ceilings, partitions and furniture whilst incorporating sophisticated AV, video conferencing and mechanical & electrical services. The design included fine joinery detailing such as hidden flush doors and a dropped custom ceiling feature incorporating lighting and AV equipment. The kitchenette was clad in a profiled MDF ’Mobilia’ panels accentuated by OTY light fittings provided by Britelux lighting. We used acoustic panels (Kravdat & Bene) to the walls & ceiling to help provide a comfortable and well balanced working environment. 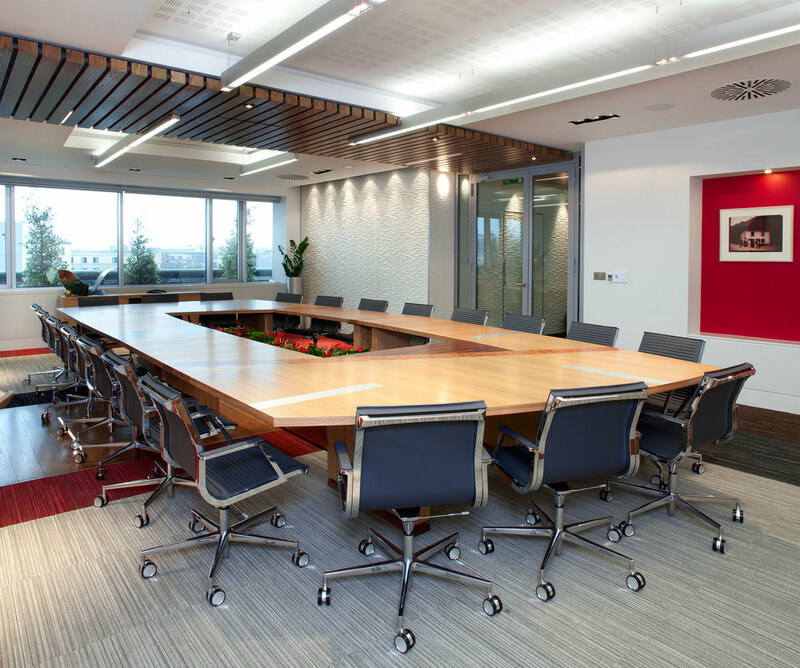 The fit-out also included bespoke furniture (meeting tables and desks) designed with Noel Whelan. Also included in the project was a new shower room facility and new external & internal signage. The project was completed on time and to budget.